A Lie Is still A Lie Even If Part of It Is True! *Note: The Comparison of Prayer should not be overlooked. The very act of prayer implies that the person who is praying considers the power to whom one is praying to as superior to oneself. Hence by praying a person implies that one is looking for help from a higher mind and intellect than one’s own self (John 14:28). Who was Jesus looking to for help? 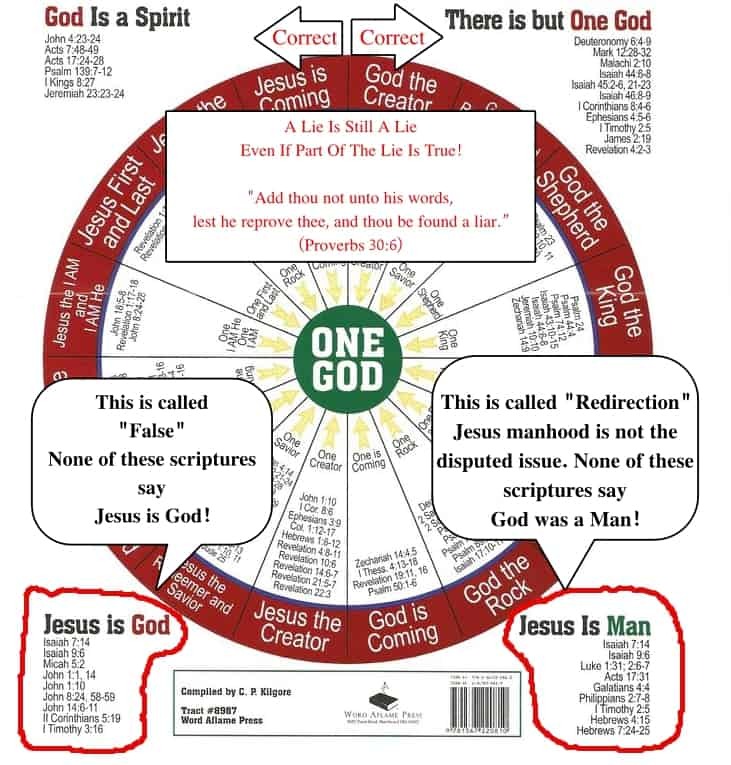 Many church organizations publish tracts that attempt to prove Jesus was God or that Jesus and God are “One and the same” personage. However, for this to be true, knowing that God cannot lie, Jesus would have to possess every attribute God possesses (this is what the phrase “the same” means). This presents a serious problem to anyone trying to validate the truthfulness of this particular man-made theological publication. 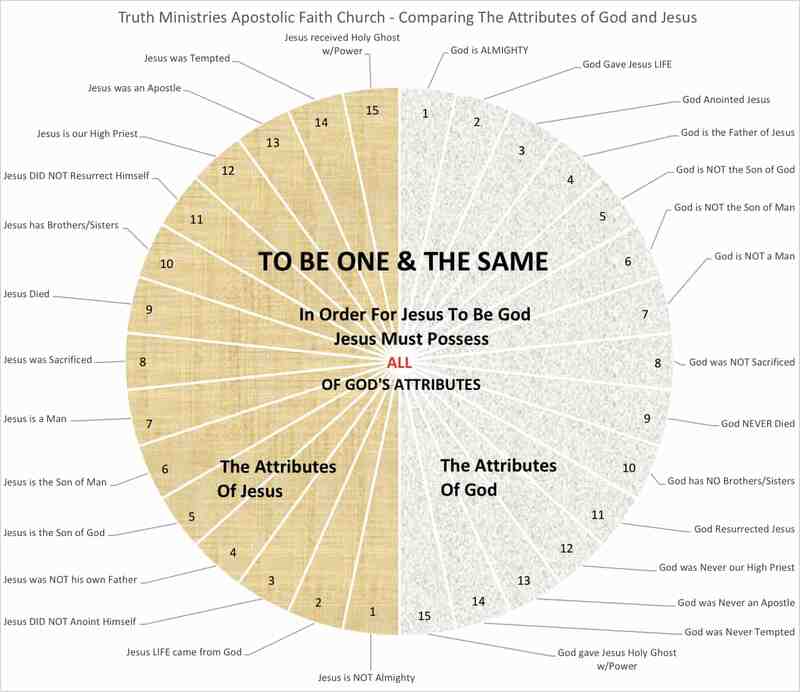 Yes, it is possible to say we are “one” in/with (G1722) God just as Christ was one with God (such as “one” mind, thought, will, purpose, agreement, etc..) but NOTHING can “truthfully” be the same as God because there is only “ONE GOD” (Isa 43:10, 45:5-6, 18). Christ NEVER made any claim that he was God. Understandably, this aspect would also immediately expose any fraudulent attempt to present Jesus as being God.